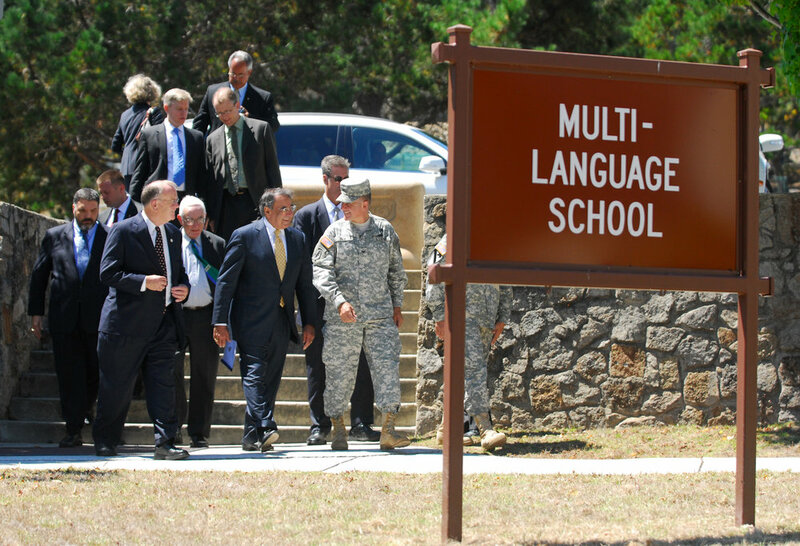 Speaking to an audience of about 2,500 active duty service members at the Defense Language Institute in Monterey, California, in 2011, then-Secretary of Defense Leon Panetta stated language knowledge is “the key to understanding the world.” Secretary Panetta further explained that if the United States wanted to understand “what motivates [foreign] countries, what motivates their people and…their culture, beliefs, faiths, ideologies, hatreds, and loves,” he explained, “a strong language ability” is the key. All branches of the armed forces have recognized the need for language and culture awareness training as important for military operations, and each service now has a language and cultural awareness training center designed to teach these critical skills. While these language and cultural initiatives are a step in the right direction, they are simply not aggressive enough to counter the rise of influence operations, or actions designed to produce a desired outcome on a target audience, which are becoming more prevalent as information and technology continue to reach more of the world’s people. Without a substantial population of foreign language and culture experts engaged across Department of Defense activities relatively soon, the United States will be at a disadvantage in fighting back against foreign actors who seek to influence American target audiences in support of outcomes detrimental to national security. In spite of this, the plan for building language and culture awareness capacity in the armed forces has yet to find the energy, focus, resourcing, and time commitment required to counter these threats. While training all members of the armed forces to a working proficiency level in targeted foreign languages and cultural awareness is an apt but very long-term hope for the Department of Defense, there must be more reachable solutions to deny influence operations by adversaries right now. One such solution leverages an existing capability: foreign area officers. Creating career foreign area officers across all branches would provide a needed response to national security threats that rely on information and not weapons. This global-level influence fight is ongoing in the information environment. Defined, the information environment is the aggregate of individuals, organizations, and systems that collect, process, disseminate, or act on information. Stated another way, it is the rapidly growing setting where the battle for influence exists among almost infinite information channels like traditional media, social media, propaganda, and indigenous customs. Containing, countering, or defeating threats in the information environment starts with understanding the culture, beliefs, faiths, ideologies, hatreds, and loves of an adversary. Again, as Secretary Panetta pointed out, this understanding requires strong language abilities. There are doctrines, directives, and policies that spell out how critical language capabilities are for a myriad of military functions. Containing, countering, or defeating threats in the information environment starts with understanding the culture, beliefs, faiths, ideologies, hatreds, and loves of an adversary. Despite those very visible calls to grow language and cultural awareness capabilities in the ranks of the armed forces, fostering these skills among more than one million active duty military personnel would be a very long-range aspiration. Instead, growing and maintaining foreign area officer capacity can provide proficiency in these critical skills that the Department of Defense needs for these threats that are perpetually trying to influence domestic audiences. A foreign area officer is a highly trained, senior military member who, upon completion of his or her education and training, “possess a unique combination of strategic focus, regional expertise (including cultural awareness and foreign language proficiency), and professional military skills and experience that are critical competencies essential to the [Department of Defense] mission.” Simply put, foreign area officers are highly skilled professionals who receive graduate-level education and practical training to make them experts in a foreign language, a foreign culture, and a region of the world. These professionals receive years of invaluable training for today’s environment of influence operations in the information environment. Yet, in all but the United States Army, foreign area officers receive this education and training as a temporary assignment, only to return to another occupational field upon completion of their temporary role as a foreign area officer. The United States can expect continued, assertive moves by adversaries within the information environment. This type of conflict is disruptive to current ideas of warfare, but it is the new normal and demands the United States orient its national security posture accordingly. While initiatives in cyber and information security are necessary, understanding an adversary’s motivations starts with the strong language and cultural awareness capabilities that Secretary Panetta discussed in Monterey. In January 2005, the Office of the Secretary of Defense published the Defense Language Transformation Roadmap. This roadmap outlined four goals that serve as guideposts for the Department of Defense to “significantly [improve] organic capability in emerging languages and dialects...[and obtain] a greater competence and regional area skills in those languages and dialects.” The four goals are the creation of foundational language and regional area expertise, the creation of the capacity to meet critical language requirements in worldwide operations, the establishment of a cadre of language professionals with advanced-level proficiency, and the establishment of a process to track the accession and promotion rates of military personnel with language skills. In order to meet these goals without further delay and build the capacity necessary to counter future threats, the Department of Defense must redesign foreign area officer utilization such that military professionals in every service who want to make a career in that occupational field can do so. The United States Army, Navy, Air Force, and Marine Corps invest significant training and education into their foreign area officers only for it to be a small part of an individual’s career. This unnecessarily limits the return on investment for a significant amount of strategically critical training and education. Allowing a career path for foreign area officers across all services would support the four goals in the Defense Language Transformation Roadmap. It would also provide each service with a collective group of foreign language and culture specialists the services could utilize to augment operations around the world. Organizations often deploy with adjunct staffs of specialists who assist in accomplishing missions and objectives. Military organizations operating across all domains could utilize foreign area officers in the same manner—as effective, additional tools to accelerate existing capabilities and help adapt organizations to unfamiliar environments. In the nearly twenty years since the beginnings of Operations Enduring Freedom and Iraqi Freedom, the military has struggled to construct an effective language and cultural awareness capacity. In a 2008 report by the House Armed Services Subcommittee on Oversight and Investigations, the panel praised the energized language and cultural training initiatives by the Department of Defense but wondered about the direction and objectives for these programs. A 2011 study by the General Accounting Office recommended that the Army and the Marine Corps improve planning and coordination in the development of their language and culture awareness training. Among the tools to oppose adversaries in this arena, language ability is among the most important as it provides the insight into motivations, thoughts, and beliefs. While building foreign language and cultural awareness capacity among all services is clearly important and necessary, the potential conflicts of the future are evolving rapidly. Among the tools to oppose adversaries in this arena, language ability is among the most important as it provides the insight into motivations, thoughts, and beliefs. Understanding these fundamental elements of an opponent in an environment where target audience influence wins fights, comprehending basic adversarial motives are elementary for victory in the information environment. Without an operationally engaged population of language and culture expertise, the United States will be hard pressed to dissect adversarial initiatives to sway audiences in the information environment in support of troublesome outcomes. Redesigning foreign area officer utilization to provide a foreign language and culture expertise over a career of service is a strategic catalyst to prevent adversaries from operating freely in the information environment. Just as weaponry and tactics have evolved to meet operational needs, so too must language and culture competencies evolve to stay on the offense on a battlefield that is always changing and expanding. Language and culture training are warfighting capabilities that must be on par with activities like advanced weapons training. There will be more aggressive and persistent moves by foreign influences in the information environment. The needed supply of language and culture expertise is not presently ready for tomorrow’s battles. It is time to recognize this shortfall, reorient priorities and resources, and employ a fortified cadre of foreign area officers to create superior language and culture capability that outclasses any potential adversary. Geoff McKeel is a recently retired Marine Corps officer. He served his final assignment as the Executive Office of the Marine Corps Information Operations Center. Views contained in this post do not represent the United States Marine Corps, the Department of the Navy, or the Department of Defense. Thompson, Mark, “The Pentagon’s Foreign-Language Frustrations.” Nation.time.com. http://nation.time.com/2011/08/24/the-pentagons-foreign-language-frustrations/ (accessed August 1, 2018). Joint Chiefs of Staff, Joint Publication 3-13: Information Operations, I-3. Undersecretary of Defense for Personnel and Readiness, Department of Defense Directive 5160.41E: Defense Language, Regional Expertise, and Culture Program (DLRECP), 2, Washington D.C.: USD (P&R), 2015. Headquarters, Department of the Army, FM 3-24: Insurgencies and Countering Insurgencies, 3-1, Washington D.C.: HQDA, 2014. Baker, James A. and Lee H. Hamilton, The Iraq Study Group Report, 61. Department of Defense, Department of Defense Instruction 1315.20: Management of Department of Defense (DoD) Foreign Area Officer (FAO) Programs, 3, Washington D.C.: USD (P&R), 2007. The Foreign Area Officer Association, “What is a FAO.” http://www.faoa.org/FAO-What-is-a-FAO. (accessed August 1, 2018). Department of Defense, Defense Language Transformation Roadmap, 1, Washington, D.C.: OSD, 2005. House Armed Services Subcommittee on Oversight & Investigations, Building Language Skills and Cultural Competencies in the Military: DOD’s Challenge in Today’s Educational Environment, 9, Washington, D.C.: HASC Oversight and Investigations, 2008. United States Government Accountability Office, Military Training: Actions Needed to Improve Planning and Coordination of Army and Marine Corps Language and Culture Training, 23, GAO-11-456, Washington D.C.: GAO, 2011.